This page gives a brief description of the work that Teachers of the Deaf do, then describes the qualifications needed and how to obtain them. more informative and detailed assessment procedures. Teaching deaf children offers a wide range of work opportunities in a number of different types of educational setting. It is challenging and stimulating work that invites initiative and gives teachers the chance to develop innovative patterns of classroom practice. 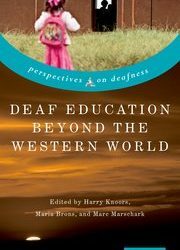 Where are deaf children educated? Most deaf children attend mainstream schools. Some of these schools have resource bases (or units) led by qualified Teachers of the Deaf. A smaller number of children are taught in special schools some of which offer residential provision. It is a requirement that pupils in these schools and resource bases are taught by appropriately qualified specialist Teachers of the Deaf and that they obtain this qualification within three years of beginning their work with deaf pupils. Peripatetic (or advisory) Teachers of the Deaf work for local education authority advisory and support services for deaf pupils. They support deaf children who are integrated into mainstream and special schools on an individual basis. 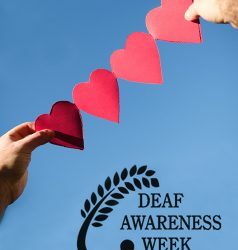 An important part of their work is collaboration with mainstream classroom teachers who teach deaf pupils from day to day, and the management of support provided by teaching assistants (TAs) or CSWs (Communication Support Workers) who often accompany deaf pupils in lessons. Peripatetic teachers also visit parents of very young children at home to advise about the children’s development and to work with them as appropriate. They also support deaf children with other disabilities. The Government expects that these teachers also obtain the qualification. Teachers of the Deaf may also work as part of a team in hospitals or health centres, concentrating on audiological and advisory services, particularly in the early years. 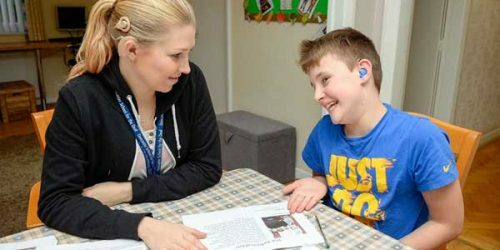 Children who have cochlear implants are supported by a team of professionals including Teachers of the Deaf, Speech and Language Therapists and Audiological Scientists. Some Teachers of the Deaf specialise in Further and/or Higher Education. If you are thinking of becoming a Teacher of the Deaf, it is useful to arrange a visit to a special school or resource base (or unit) for deaf pupils. Local Authorities’ (LA) heads of service for deaf children can give you information about these. In order to train as teachers of deaf pupils in schools or services, teachers must have qualified teacher status (QTS) and have had some classroom experience before undertaking a Teacher of the Deaf training course. All teachers of deaf children must have special training and qualifications. There are several ways of achieving QTS. For more information visit the DfE website. a commitment to acquire basic sign language skills to Signature level 1 or equivalent. a positive attitude towards working in partnership with parents. After achieving QTS, teachers usually need to gain some teaching experience before applying to undertake a Diploma/Certificate course in teaching deaf children. However, any experience gained with deaf children, such as voluntary work, will support the application. It is possible to be teaching deaf pupils while gaining the necessary experience, provided such teachers are being supervised by a qualified Teacher of the Deaf. Entry requirements for individual institutions will vary. Please contact the University directly for further information. Details about the individual courses are listed below. One-year full-time and two-year part-time courses are offered for people who want to train as Teachers of the Deaf. Details of these are given below. Deaf people who have the relevant qualifications are encouraged to apply to train as Teachers of the Deaf. Their contribution to the education of deaf children is particularly valuable. They should discuss their application and support needs for study with the University to which they are applying. The earlier this is done, the better. Teachers in England and Wales should ask the LA or school in which they work for support in taking a full-time training course. Such teachers may have their tuition paid for by their employers. However this is becoming more and more unusual as the great majority of teachers in training as Teachers of the Deaf are following part-time in-service training courses whilst working with deaf children. These courses are usually financed by schools and services. Teachers in Scotland who wish to become Teachers of the Deaf may also apply for these one-year courses. 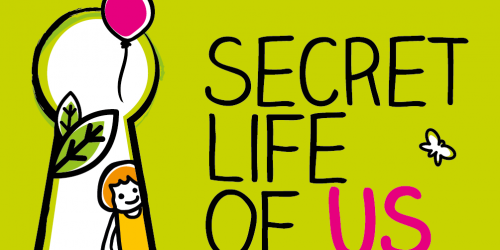 For information about financial help, contact the Student Awards Agency for Scotland (Tel: 0131 476 8212). Teachers in England can apply annually to the DfE National Scholarship Fund which can provide some financial support. Furthermore, BATOD, on behalf of the Ovingdean Hall Foundation is adminstering the Con Powell Scholarship to provide bursaries for teachers wishing to train but whose LA or school is not obliged to support financially. There will be up to five scholarships awarded every year. Applicants will have to show evidence of Qualified Teacher Status, details of their chosen course provider, information about their current employment, a personal statement highlighting why they wish to undertake this training, proof that their local authority or school is not obliged to fund their training and evidence that they have tried to obtain funding elsewhere. Finally they need to provide two referees. It is possible that there will be an interview element to the process. In addition, the Universities of Leeds and Manchester offer their own bursaries. See below in the individual sections for further information. Several organisations offer independent financial assistance to students who are self-financing. Details may be found in ‘The Educational Grants Directory’ by Michael Eastwood and David Casson, published by the Directory of Social Change. This is available in most public libraries and will be useful for those who are trying to obtain financial support. The Snowdon Trust is a charity that assists physically and sensory disabled people to access vocational and academic courses in the UK by awarding grants. These can be for equipment and essential study needs. They only give awards where funding cannot be met through other channels. Further information can be found on this website: www.snowdontrust.org/. The University of Manchester awards the University Post Graduate Diploma in Deaf Education and MSc Deaf Education. This requires one or two years on campus or two years distance learning. The School of Education offers a two-year programme of study by distance education leading to a Post Graduate Diploma in Education (Special Education – Hearing Impairment). The programme is open to qualified teachers, normally with not less than two years’ teaching experience. Students who successfully complete the work for the Postgraduate Diploma may then progress to MEd. The University of Edinburgh offers a part-time modular programme leading to the award of Postgraduate Diploma in Inclusive Education (Deaf learners) or Masters (MSc). The Diploma programme normally takes two years and consists of six courses. One of these courses is a placement which takes place in the teacher’s own workplace (4 weeks) and in another setting with deaf learners (3 weeks). Those who successfully complete the Diploma can progress to the MSc, which can take an additional one or two years. Further details from The Moray House School of Education, The University of Edinburgh, Holyrood Road, Edinburgh EH8 8AQ. Contact the course director, Rachel O’Neill, for further details. Tel: 0131 651 6429 or rachel.oneill@ed.ac.uk website: www.ed.ac.uk and search for inclusive education. Dates and times of courses each year can be found by putting: dates times inclusive into a search engine. From September 2014, new bursaries are available for UK Deaf Education schools/services funding more than one student per school/service in a single year to the part-time MA Deaf Education (TOD) programme. For schools/services funding two students to start the programme in September 2014, a 5% bursary towards the part-time Deaf Education programme tuition fee per student per year will be applied.For schools/services sending more than two students to start the programme in September 2014, a 10% bursary towards the part-time Deaf Education programme tuition fee per student per year will be applied. you have enclosed a covering letter from your Head of School or Service indicating that your application is one of two or more from the same school or service. Receipt of the scholarship is conditional upon you commencing your period of study by registering no later than 1 October in the academic year for which the award is offered. Scholarships cannot be deferred to a later year. Where places are offered to applicants who meet the criteria for this scheme notification will be sent to the Head of School or Service at the point of acceptance of the students on to the programe. The University of Manchester offers flexibility and access to research-led practice with state of the art audiology facilities which ensure graduates are prepared for changing times in the field. The course is led by action research with schools and services and has expertise in all aspects of deaf education. Learners on the programme will benefit from specialist areas of expertise such as Theory of Mind and social development in the home/classroom and complex needs.UoM are able to support bespoke training that meets individual learning and service/school for the deaf needs by using a range of on campus / elearning modes. Please ask for more details about this. The promotion of high expectations of all deaf learners is a key feature. Deaf children and young people deserve the very best and at Manchester that it what we seek to provide. You can study full time on campus [2 days per week for one year], part time on campus [1 day per week over 2 years] or as an e-blended learner [part time over 2 years]. All students undertake supervised placements. From 2018/2019 University of Manchester have two bursaries available each year for exceptional candidates as part of the Lawrence Werth Scholarship Fund. Please consult the website for more details. UoM offers a £1000 scholarship bursary to all successful candidates who are not eligible for other forms of bursaries. This is in recognition of 100 years of Deaf Education at Manchester and to acknowledge Professor Wendy McCracken’s contribution to the field. Mary Hare Courses, in partnership with the University of Hertfordshire, offer a PG Dip/MA Deaf Education Studies (Teacher of the Deaf). This leads to the mandatory qualification for Teachers of the Deaf, approved by the Department for Education (DfE); and delivers the linked competencies to enable candidates to work with children and young people who are deaf from 0-25 years. Students who continue after PGDip to complete a dissertation qualify for an MA in Deaf Education Studies (Teacher of the Deaf) which delivers extension competencies. The PGDip has an eight module structure taught over two years of study, with residential study weekends (five in year 1 and four in year 2) and access to substantial online resources, learning activities and regular contact with tutors. Students uniquely have access to observation and research opportunities within Mary Hare Schools during their period of study. The course is staffed by experienced practitioners in the fields of education of the deaf and related disciplines. To satisfy the requirements for the mandatory qualification as a Teacher of the Deaf, all students undertake an assessed practical experience component in Year 1 and Year 2 of the course of study. In year 1, students undertake a 4-week placement in a provision with pupils from a different age range to their current experience in an establishment outside their own local authority. In Year 2 students undertake a 4-week placement in their current place of work, provided they currently work with children and young people who are deaf. In addition, students undertake additional visits to experience the range of educational provision for children and young people who are deaf. Students are fully supported during their placement by a supervisor appointed by Mary Hare Courses.